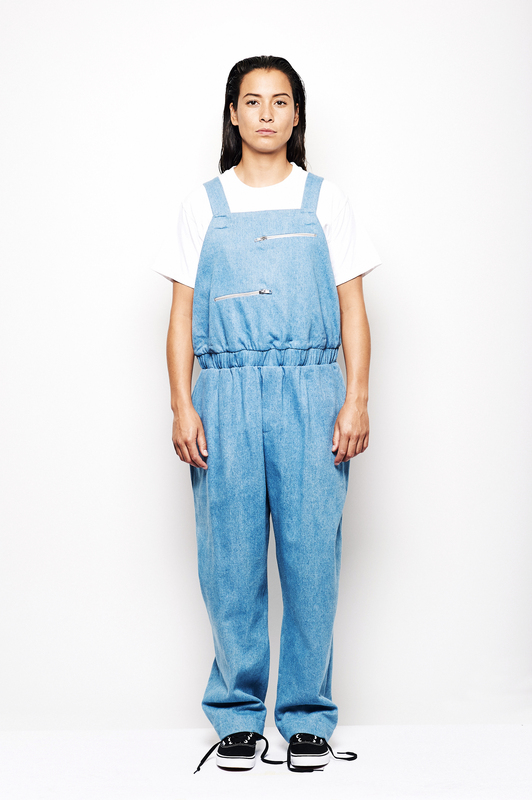 The DEZEEP HANG dungarees is an easy to wear oversized jumper. 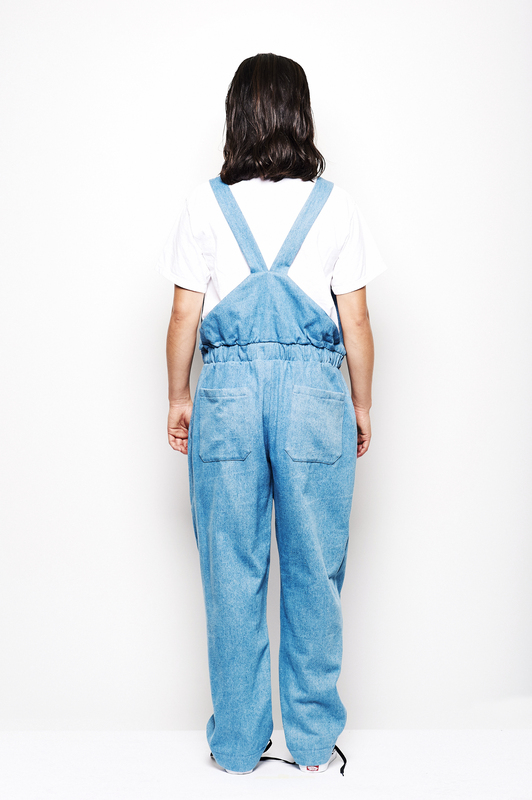 It features magnet closures and zipper pockets. This is on of our custom one size fits most pieces. Both models are wearing the same size!